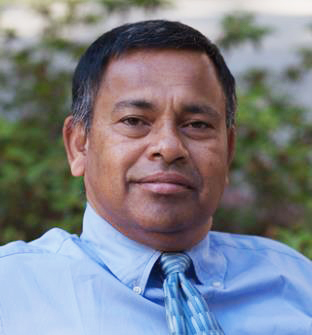 Afsar Ali, Ph.D. was born and raised in Bangladesh where he obtained his BS in Soil Microbiology and MS in Microbiology with honors from University of Dhaka, Bangladesh. Following his academic achievement, he joined in International Center for Diarrheal Disease Research, Bangladesh (ICDDR, B), a world class research Institution in the world involving research on diarrheal pathogens. In 1990, Dr. Ali was accepted as a graduate student with full scholarship in the Department of Microbiology in the University of Microbiology where he obtained MS in Enteric Microbiology. He then obtained his Ph.D. in molecular biology/biotechnology from Marine-Estuarine-Environmental Sciences (MEES) program from the same University. Later, He joined as an Instructor in the department of epidemiology in the school of Medicine in the University of Maryland at Baltimore where he was later promoted to Assistant Professor. On July 1, 2008, Dr. Ali moved to University of Florida where he has been working as a Research Associate Professor in the department of environmental and global Health in the School of Public Health and Health Professions (PHHP), and in Emerging Pathogens Institute (EPI). Dr. Ali’s research work has resulted in many publications published in diverse peer reviewed journals, including Science, Nature Microbiology, mBIO, Emerging Infectious diseases (EID), Nature Scientific reports and ASM journals. M. S. in Clinical Microbiology, August 1993. Department of Microbiology, University of Maryland at College Park, Maryland. Ph.D. in Molecular Biology/Biotechnology, December 1998. Department of Marine-Estuarine-Environmental-Sciences, University of Maryland at College Park, Maryland. Reyes-Robles, T., Dillard, R. S., Cairns, L. S., Silva-Valenzuela, C. A., Housman, M., Ali, A., . . . Camilli, A. (n.d.). Vibrio cholerae outer membrane vesicles inhibit bacteriophage infection. Kamareddine, L., Wong, A. C., Vanhove, A. S., Hang, S., Purdy, A. E., Kierek-Pearson, K., . . . Watnick, P. I. (2018, February). Activation of Vibrio cholerae quorum sensing promotes survival of an arthropod host. Sinha-Ray, S., & Ali, A. (2017, September 13). Mutation in flrA and mshA Genes of Vibrio cholerae Inversely Involved in vps-Independent Biofilm Driving Bacterium Toward Nutrients in Lake Water. Azarian, T., Ali, A., Johnson, J. A., Jubair, M., Cella, E., Ciccozzi, M., . . . Salemi, M. (2016, October 27). Non-toxigenic environmental Vibrio cholerae O1 strain from Haiti provides evidence of pre-pandemic cholera in Hispaniola. Alam, M. T., Ray, S. S., Chun, C. N., Chowdhury, Z. G., Rashid, M. H., Madsen, V. E., & Ali, A. (2016, October 07). Major Shift of Toxigenic V. cholerae O1 from Ogawa to Inaba Serotype Isolated from Clinical and Environmental Samples in Haiti.